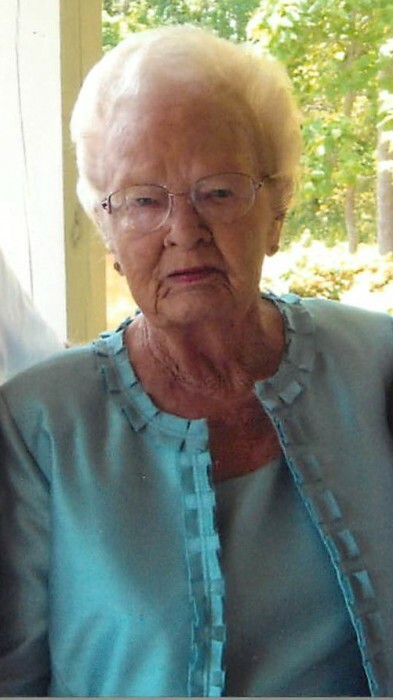 Ophelia M. Dansby, 96, of Phenix City, AL died at her residence on Tuesday, April 16, 2019 surrounded by family. Funeral services will be held on Thursday, April 18, 2019 at 11:00AM (EST) in the Chapel of Vance Brooks Funeral Home, Phenix City with Rev. Tim Cole officiating. Graveside services will follow at 2:30 PM (CST) in Bethel Baptist Church Cemetery, Graceville, FL. The family will receive friends one hour prior to the service at the funeral home. Mrs. Dansby was born October 07, 1922 in Holmes County, FL daughter of the late Henry Clinton Martin and Willie Clyde Elmore Martin. She was a homemaker, great cook and loving mother, grandmother, great-grandmother and great-great grandmother. Mrs. Dansby enjoyed reading and playing Solitaire and Canasta. Her memories will always be a treasure in our hearts. Mrs. Dansby was also preceded in death by her husband, Louie Frank Dansby and a son, Jimmy Hardin. Survivors include her daughter, Zana Setser, Phenix City, AL; son, Frank Hardin (Betty), West Point, GA; 10 grandchildren, 23 great-grandchildren and nine great-great grandchildren; numerous nieces and nephews also survive. In lieu of flowers the family requests donations be made in her memory to the House of Hero’s, 1225 Webster Ave., Columbus, GA 31901 of www.houseofheroes.org.